A new study may help nurses, doctors and other healthcare professionals to improve their skills at recognising when a patient's death is imminent. 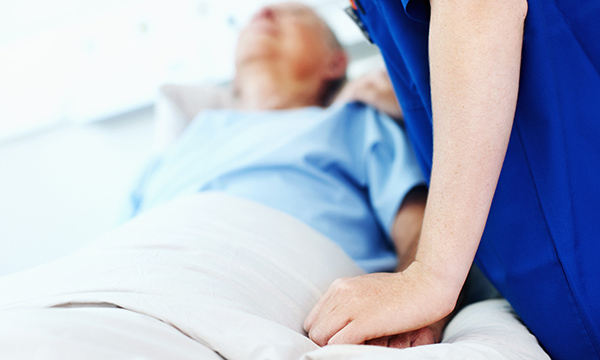 The study, published in BMJ Open, identified a group of palliative care doctors who demonstrated particular expertise in recognising when a patient is dying. Researchers were then able to identify the key signs and symptoms that expert doctors use. The level of support the individual needs based on their functional ability, as measured using the Palliative Performance Score: ranging from fully independent (100%), to bed-bound and needing full support and unconsciousness (10% and below). The presence of an abnormal pattern of breathing called Cheyne-Stokes breathing. The research was led by Nicola White of the Marie Curie Palliative Care Research Department at University College London (UCL). Her team hope the study's findings will help inform the development of education materials to teach doctors, medical students and other healthcare professionals how to model their own judgement policies on those of the ‘experts’. Marie Curie UK director of nursing and quality Julie Pearce suggested further research should consider the contributions made by all healthcare professionals involved. 'The role played by the multidisciplinary team caring for patients who are dying is central to the experience of both the person and their family – the effectiveness of that care can be determined by a blend of the knowledge and experience of the team,' she said. The National Institute for Health and Care Excellence guideline on care of dying adults in the last days of life describes the recognition of imminent death as an essential first step to improving care, but does not explain how clinicians are expected to identify such patients.